The Islamic financial (IF) institutions in Kenya continue to grow in numbers and outreach. The banking sector is relatively well developed considering the three fully-fledged banks offering Shariah-compliant banking services and a number of other conventional banks offering Shariah banking windows. First Community Bank, Gulf African Bank, and the Dubai Islamic Bank’s subsidiary are the three fully-fledged banks while the conventional banks such as KCB, National Bank of Kenya, Barclays Bank and Standard Chartered Bank offer Shariah-compliant financial services as part of their product offerings. We are also witnessing a gradual growth in the Islamic microfinance sector. 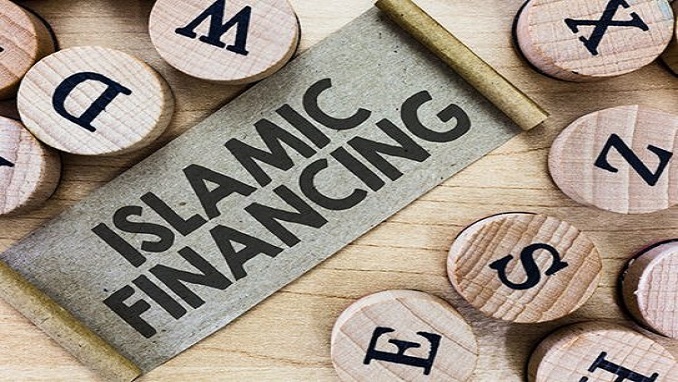 Any financial institution that can innovate and use technology to efficiently serve customers while remaining true to the objectives of Shariah-compliant finance shall command a huge market share Taqwa Sacco and Takaful Sacco are some of the visible Shariah compliant micro-finance service providers. There is a huge untapped potential in the takaful industry and just like conventional insurance, it requires a sustained focus in consumer education and other incentives to improve the penetration rates. It is noteworthy that Takaful Insurance Africa, the only Takaful operator in Kenya cannot meet all the takaful needs in the market. Islamic financial service providers have a duty to empower both existing and potential consumers of their products with adequate information and facilitate full disclosure to enable them to make informed choices. What counts is not the amount of information shared with the consumers by the IF institutions but the quality of the same information. Competition and regulations to protect the interests of consumers can help in the provisions of fair pricing and promoting innovation while enhancing the quality of solutions and choice for consumers. IF institutions should not compete on the basis of Shariah compliance since customers expect them to have Shariah as part of their DNA. It is unethical and morally reprehensible for any institution meant to offer Shariah-compliant services to fail to meet Shariah standards in its business operations. These institutions should instead compete on the basis of consumer education, service excellence, transparency, competitive pricing, professionalism, innovation, and effective business relationship management. The IF institutions in Kenya can proactively work with consumer groups, the media, regulators and other stakeholders to promote consumer awareness about their offerings and enhance consumer protection. We should have well co-ordinated IF awareness creation initiatives to inform and educate consumers about their rights while giving them access to free educational materials. Consumers whether those of the IF institutions or otherwise deserve fair treatment and nothing should undermine their rights. Indeed the consumers should be encouraged to know their rights as well as their responsibilities and have the ability to complain and seek redress in the event of fraud and abuse. While we have no explicit references to Shariah in the Kenyan financial laws, the consumers of the IF services can draw comfort from Article 46 of the Constitution of Kenya 2010 that affords them the right to goods and services of reasonable quality. Consumers have the right to compensation for loss or injury arising from defects in goods and services. In fact, the consumers of the IF products may enlist the services of the Consumer Federation of Kenya (Cofek) to get value for money and their interests safeguarded. To safeguard the integrity of the IF industry and promote transparency as well as accountability in consumer transactions, the Shariah Scholars and consumer interest groups need to partner to offer Shariah-compliant clinics for consumers on a regular basis. Such clinics can help consumers with complaints and misgivings about the nature of IF transactions offered by the institutions to get guidance and clarity. All the institutions offering Shariah-compliant services should strive to satisfy their customers and use them as their business references. Satisfied customers tell three friends, while angry customers tell 3,000 as rightly captured by Pete Blackshaw in his book entitled ‘Running a Business in Today’s Consumer-Driven World’.